Nerium oleander, commonly known as oleander, is an important medicinal plant in Indian folk medicine. It is one of the best pharmacognostic devices available in now-a-days. The modern as well as traditional uses make this plant much more valuable. 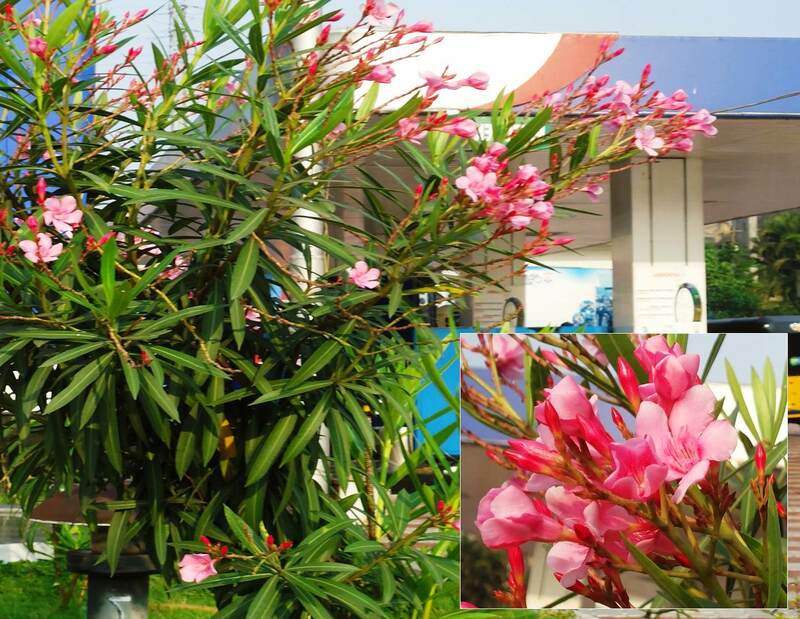 Oleander is cultivated recently in pots and hence, large scale propagation of plant material for commercial use has great importance. This plant species also produces secondary metabolites such as alkaloids, flavonoids and steroids which have pharmacological applications. The important pharmacological activities are antibacterial, larvicidal, anticancer, antidiabetic activities. This review describes the evidence-based information regarding pharmacological activity as well as phytochemicals of this plant. Fig. : Nerium oleander L. plant in flowering condition.